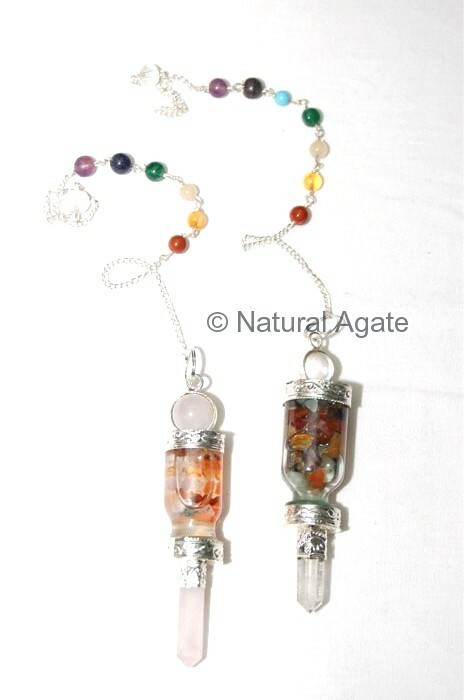 Chakra glass bottle Pendulum is unique and different. It makes a beautiful gift for your loved ones. It is 20-50mm long and is available on Natural Agate.